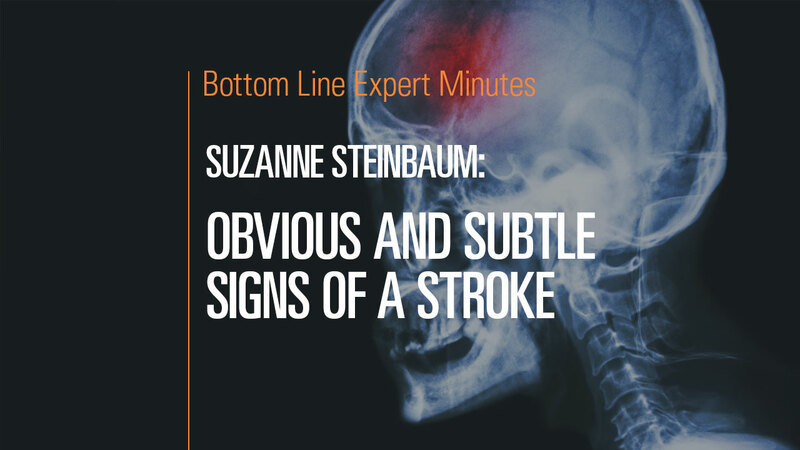 In this video, Suzanne Steinbaum, DO, author of Dr. Suzanne Steinbaum’s Heart Book: Every Woman’s Guide to a Heart Healthy Life and Bottom Line’s “At the Heart of It All” blog, details the obvious signs of a stroke as well as the more subtle signs that are often overlooked. The most obvious signs of a stroke can be listed using the acronym FAST—Face drooping, Arm strength (reduced during a stroke), Slurred speech and Time (it is crucial to seek medical attention within the first three hours). In addition to these classic, typical signs of a stroke, there are subtler signs, including whole-body numbness, uncontrollable hiccups, persistent dizziness or weakness, and a bad headache that will not go away. If you experience any of these symptoms, seek medical attention immediately.